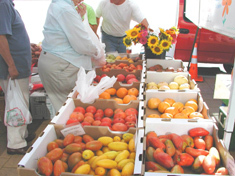 The Worthington Farmers Market was established in 1987 and is one of the largest and most respected markets in Ohio. From November to April, the Worthington Farmers Market takes place at the Shops at Worthington Place! Come shop for fresh produce, plants, meats and other homemade foods, desserts and crafts.